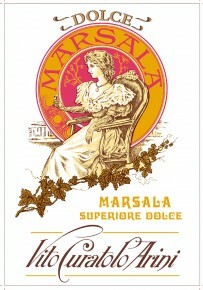 Garibaldi’s favourite Marsala, it is also known as ‘Garibaldi Dolce’. A blend of selected Grillo, Cataratto and Inzolia aged for 5 years in oak barrels. Harmonic and well-structured wine with a full and pleasantly sweet final finish. Food matching suggestions are hard and spicy cheeses like Parmesan and Pecorino, and also with fruit and dry pastries or just as an after meal sipping wine. Suggested to serve in a medium tulip glass at a slightly cool temperature of 15°C.